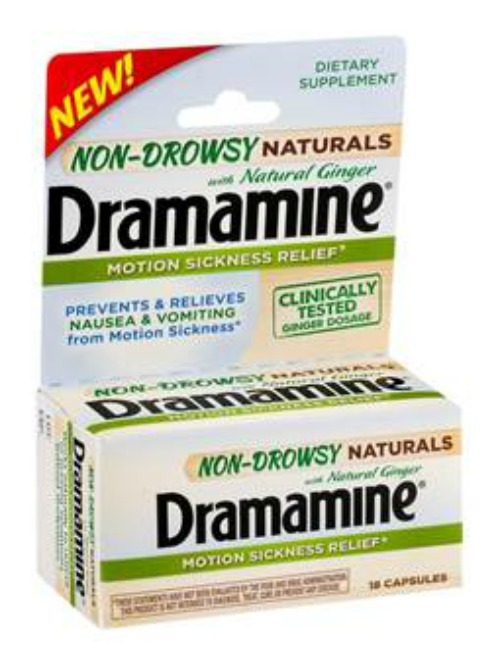 Dramamine has come out with a Natural formula that is non-drowsy and contains ginger. Check out some of the details below. finds that more than half of women with motion sickness are avoiding the highway for road trips (53 percent), skipping rides at amusement parks (51 percent), and staying home instead of going abroad for cruise vacations (50 percent). Worse than missing out the fun themselves, nearly half (46 percent) said they feel like their motion sickness is a drag for the people they’re vacationing with. While the majority of women surveyed (82 percent) said they don’t want to miss moments of vacation due to motion sickness, nearly half (42 percent) would prefer a non-drowsy solution for preventing and treating their symptoms. Now there’s a way to prevent motion sickness and make the most of those precious summer moments without the drowsiness. Dramamine Non-Drowsy Naturals is our first non-drowsy, offering! Unlike ginger ale, candies and gums that people frequently try, Dramamine® Non-Drowsy Naturals contains a clinically-tested dosage of ginger for preventing and treating motion sickness. It helps prevent and relieve symptoms like nausea and vomiting, which products like antacids and upset stomach relievers do not. And since it’s made from natural ginger, it is safe to use any time you travel. An effective way to prevent and treat motion sickness is with over-the-counter medicine. Dramamine®, America’s number one over-the-counter product for treatment of motion sickness, offers a range of products – also including Dramamine® Less Drowsy and Dramamine® for Kids – that help prevent and relieve symptoms including nausea, dizziness, vomiting and fatigue. For more information visit Twitter, or find them on Facebook, or Twitter. The online consumer survey was conducted between April 30, 2015 and May 5, 2015 among a national sample of 525 women over the age of 18 who suffer from motion sickness. The survey was developed and sponsored by Dramamine® with fieldwork provided by Toluna Online using its national consumer panel. Dramamine® is America’s number one over-the-counter product for the treatment of motion sickness, helping to prevent and relieve nausea, dizziness and vomiting associated with the condition. 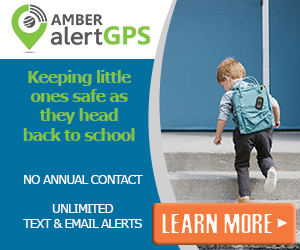 It is the only leading brand for motion sickness formulated for children 2 years and over and adults. Dramamine® comes in five formulas, including Dramamine® Less Drowsy, Dramamine® Original, Dramamine® for Kids, Dramamine® Chewable, and Dramamine® Non-Drowsy Naturals and is available at most mass merchandisers, drug stores and grocery stores throughout the United States and is available on line at www.drugstore.com and www.amazon.com. The Company markets and distributes brand name over-the-counter and household cleaning products throughout the U.S. and Canada, Australia, and in certain other international markets. Core brands include Monistat® women’s health products, Nix® lice treatment, Chloraseptic® sore throat treatments, Clear Eyes® eye care products, Compound W® wart treatments, The Doctor’s® NightGuard® dental protector, the Little Remedies® and PediaCare® lines of pediatric over-the-counter products, Efferdent® denture care products, Luden’s® throat drops, Dramamine® motion sickness treatment, BC® and Goody’s® pain relievers, Beano® gas prevention, Debrox® earwax remover, and Gaviscon® antacid in Canada. Visit the Company’s website at www.prestigebrands.com.